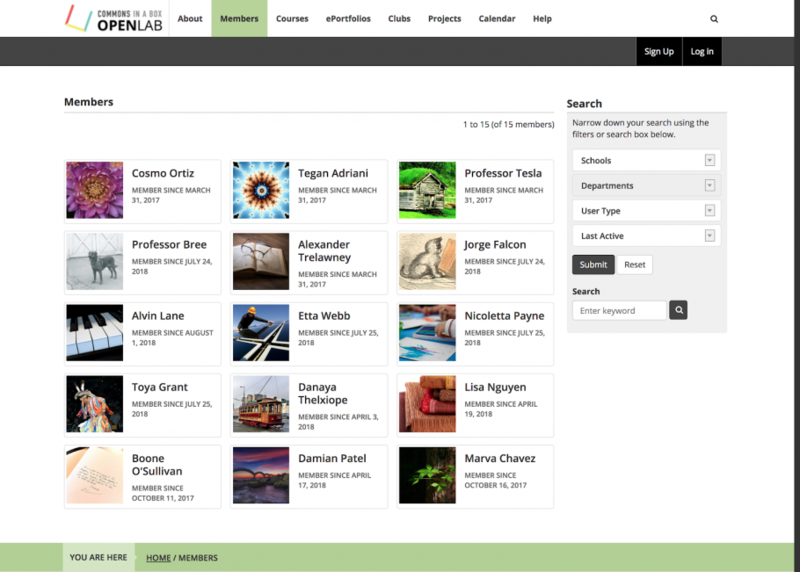 By default, CBOX OpenLab comes with four member types: Faculty, Staff, Students, and Alumni. 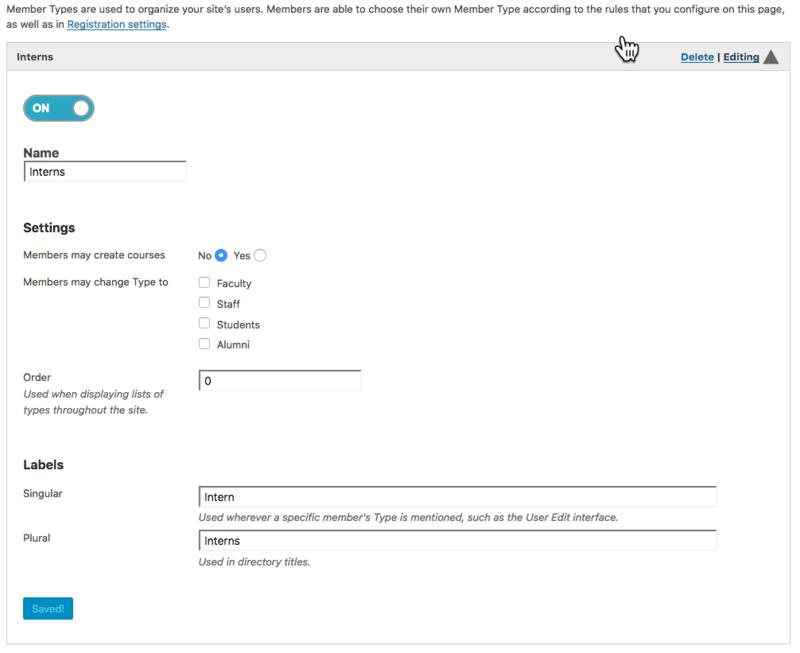 As can be seen in the example below where “Interns” was added as a new type, the OpenLab admin can add or delete member types. To add a new member type, click on +Add New Type. To edit a member type, click on the edit arrow. In the Settings section, the OpenLab admin can control which member type can create courses, and can also determine which member types can change to a different type. For example, you might only want faculty members to create courses, and you might want students to be able to change their member type to alumni once they graduate. You can also change the order in which member types appear throughout the site. For example, when filtering for member type on the Members directory, you could change the order so that students appear first in the filter dropdown.